Work with LifeSpan to design a custom immunohistochemistry to address your specific biological question. Outsource the entire localization process without having to worry about finding and characterizing target specific antibodies, sourcing and validating difficult-to-find tissues, and having the ability to interpret the resulting immunostaining in relation to complex human pathologies. 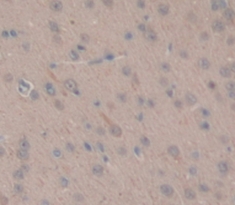 Test your therapeutic antibodies in immunohistochemistry against a broad panel of normal frozen human tissue types in order to determine potential unintended binding. Our non-GLP TCR services are designed on the FDA recommendation outlined in their "Points to Consider in the Manufacture and Testing of Monoclonal Antibody Products for Human Use". How to Buy - Details about how to buy our products. Orders@LSBio.com - To submit a new order. Customer.Support@LSBio.com - To submit questions about existing orders, pricing, availability, bulk quotes, proforma invoice requests, or other billing issues. Technical.Support@LSBio.com - To request technical information requests about an LSBio product or its application. Sales@LSBio.com - To request information about fee-for-service contract IHC studies, IHC reports, distribution agreements, or general business development. Worldwide Distributors List - To find your local distributor if you're not within the United States. order histories, retained contact details for faster checkout, review submissions, and special promotions. Transglutaminase antibody LS-C686322 is a biotin-conjugated rabbit polyclonal antibody to rat Transglutaminase (TGM1). Validated for IHC and WB. Biotin. Also available Unconjugated or conjugated with Biotin, FITC, FITC, Cy3, HRP, PE, APC, Cy7, APC. Performing IHC? 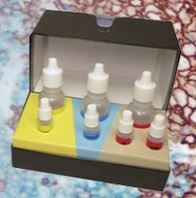 See our complete line of Immunohistochemistry Reagents including antigen retrieval solutions, blocking agents ABC Detection Kits and polymers, biotinylated secondary antibodies, substrates and more. Recombinant TGM1 (Ala504-Glu737) expressed in E. coli. 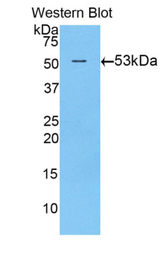 The antibody is a rabbit polyclonal antibody raised against TGM1. It has been selected for its ability to recognize TGM1 in immunohistochemical staining and western blotting. Avoid repeated freeze/thaw cycles. Store at 4°C for frequent use. Aliquot and store at -20°C for 12 months. This antibody carries the LSBio 100% Guarantee. Western blot of recombinant TGM1 / Transglutaminase. This image was taken for the unconjugated form of this product. Other forms have not been tested.